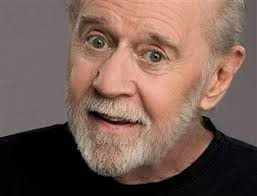 The late, great comedian George Carlin had a great bit about aging. He said when you’re young, you can’t wait to get older. You become 21. But then you turn 30. Sounds like bad milk. He turned, we had to throw him out. You become 21, you turn 30, then you’re pushing 40. Whoa!! Put on the brakes, it’s all slipping away. Before you know it, you reach 50, and your dreams are gone. But wait! You make it to 60. You didn’t think you would. Then you build up so much speed that you HIT 70! After that, it’s a day by day thing. You HIT Wednesday. You get into your 80’s, and every day is a complete cycle. You HIT lunch; you turn 4:30; you reach bedtime. And it doesn’t end there. Into the 90’s you start going backwards. I was just 92! And so it goes. In our society that idolizes youth, it may be difficult to deal with the fact that everyone ages, if you’re lucky that is. And of course, Judaism has a lot to say about aging with dignity, and finding meaning and purpose in your life as you grow older. Ever seen a young boy stand up to lead, and then a second child stand with him, starting a small movement? At today’s service for this year’s last day of Berkman Mercaz Limud, when Rabbi Freedman was about to announce the year’s total in collected tzedakah (righteous giving), one boy stood up, held a dollar high in his hand, and brought it to the front of the sanctuary. A second child then stood with him and brought tzedakah to the front of the room. Child by child, then adults too, brought more money to add to the collection to go to people in need. 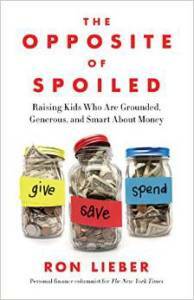 Our year’s tzedakah total was increased by over $100 in just one morning, because one kid stood up, and then another. When we consider the meaning of our actions and of our days, many wonder: Destiny or free will? Judaism says both! A story is told about Rabbi Akiva’s daughter. When she was born, astrologers told Rabbi Akiva that on her wedding day, she would be killed by a poisonous snake and die. Years pass and the evening before the daughter’s wedding day arrives. Exhausted after the rehearsal dinner, she climbs into bed, pulls her hairpin from her head, and sticks it in the wall for the next day. As we explore hesed in this first week of the Omer, stories of loving-kindness can inspire our own. For 100 years, the JDC has extended loving-kindness across the globe, in its relief work for the most vulnerable. On behalf of the Jewish community, they serve people of all backgrounds, bringing aid and building bridges. An archive of images of their work includes this photograph, depicting the JDC-financed the 1929 “Drop of Milk” initiative which provided milk for infants in need in the Ukraine. And relief efforts in the Ukraine continue to our day. Dov Ben-Shimon from the JDC will speak on “Hunger and Thirst in the Jewish World: Poverty, Food Insecurity and the Search for Community” at RS Wednesday, April 30, 7:00 pm to paint a picture of the important work they are doing today. You are currently browsing the archives for the Tzedakah category.